Barking Horse Farm is now offering two lodging options. Establo San Rafael Bed and Breakfast. 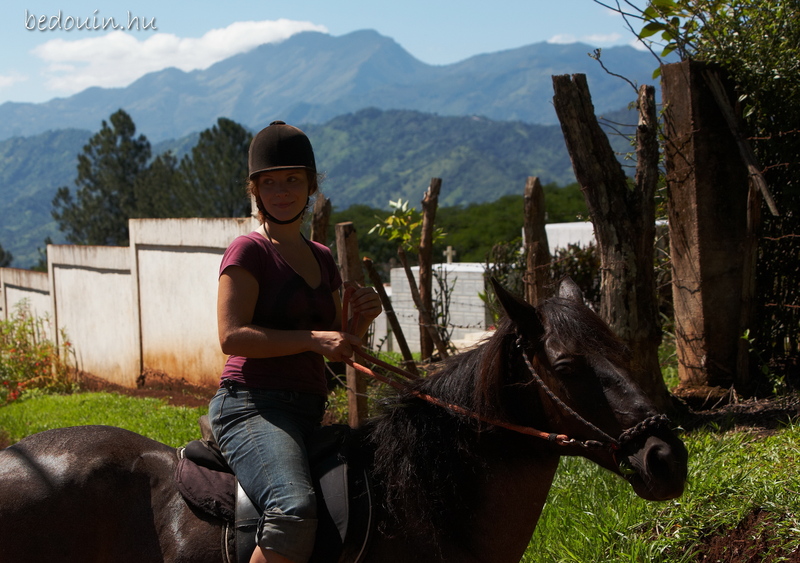 Located adjacent to Barking Horse farm Establo San Rafael a variety of individual and family/group lodging options. Follow their link for more information. Our 4 Bedroom home with an additional bungalow is also available to rent by the day, week or month. Follow the link for more information. Located in the small, rural, and peaceful village of San Rafael de Puriscal, far from tourist areas where the people in this village live much as they have for generations, farming sugar cane, cacao, beans, plantains and bananas, by keeping honey bees, by harvesting and milling hard woods and by raising pigs, cattle and milking cows. And of course there are the cowboys and their horses to herd the cattle. Tour a “Trapiche” where sugar cane is processed into delicious brown sugar. 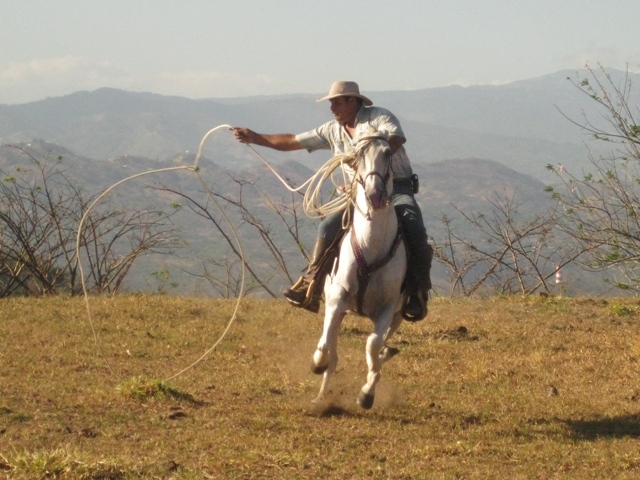 A visit to a local horse training facility where a real Costa Rican cowboy will present you with majestic examples of the Costa Rican horse and demonstrate his fancy lasso and roping skills. Spend a lovely afternoon wandering around in Puriscal, still an authentic Costa Rican town. Sit in the park in the center of town and watch the world go by. Take a 15 minute hike to either of two waterfalls right near the farm. Visit the notorious “bat cave”, also a short hike from the farm. Visit a nearby indigenous reserve, meet their shaman and take part in a traditional sweat lodge. Visit an authentic chocolate farm and take part in processing chocolate from the tree to the truffle. Hike to a beautiful waterfall in the La Cangreja Rain Forest National Park. Take a boat ride on the Rio Tarcoles and see crocodiles, from juveniles to grand daddies, as well as many species of tropical birds. Herd Cattle on a local cattle farm with the ranch horses and the cowboys. Visit the private nature reserve of Turrubarri for an exciting zip line and gondola ride and take an informative, guided nature walk to learn all about Costa Rican flora and fauna. We have 9 different rides to choose from, ranging from 1 hour to all day and varying in price between $55 and $130 per ride depending on the length.